How to: What are my options for obtaining Windows 7 reinstall media? UPDATE: Persons are reporting issues with the Microsoft Software Recovery website not working, especially when selecting desired languages. Please use the alternative instructions available immediately below for obtaining install media. For the past 5 years Microsoft made it quite easy for users of the Windows 7 operating system to obtain reinstall media. If you lost your retail installation disc or recovery media; either it was damaged or faulty; you could download a copy of the edition you have a license for from an affiliate website named Digital River. Most recently, Microsoft ended availability of reinstall media which you could download as a .ISO file from Digital River, which is a digital replica of a optical disc. This was especially handy for persons who could not easily obtain recovery media from the manufacturer, did not want to pay the cost required to obtain it or preferred a clean configuration without the manufacturers bundled software or even a non-functional recovery partition. It was easy to use, all you had to do was reinstall and reactivate using the product key located on the certificate of authenticity and download any appropriate drivers from the manufacturers website. Since this option is no longer available, what are your options? In this article, we take a look at what users can do if they end up in a situation needing such media. What to do if you cannot get recovery media from your manufacturer, refuse to use or purchase it or the Microsoft Software Recovery Website is not working? Your next best option is to borrow the corresponding retail edition (upgrade or full version) or OEM System Builder disc from a friend or family member who has a Windows 7 disc. You can also borrow any of the following editions: Home Premium, Professional or Ultimate and create your own disc which will give you the option of selecting the desired edition you are licensed for. Update: You can use the following solution to download ISO media for Windows 7, which will work with any Windows 7 key. If the disc does not look like any of the above, these instructions will not work. If you are running editions of Windows 7 such as Starter and Home Basic, these instructions should also work. Keep in mind, Starter is only available in a 32 bit architecture, so a 32 bit disc will be required if you need to reinstall that particular edition. You can then use the Microsoft .iso to USB/DVD tool to create a bootable DVD or USB (requires a blank DVD or USB flash stick of at least 4 GB). We will edit the image (ISO) and remove the ei.cfg file so we can reveal all editions of Windows 7 during the installation. Lets take a look at doing it step by step. After downloading the eicfg removal utility, you need to extract it, since its in a .zip file. Just right click it and click Extract All. Double click the eicfg_remover.exe file to launch it. Browse to where the Windows 7 Image (.ISO file) is stored, select it and click Open. That’s it! the ei.cfg file is now removed. 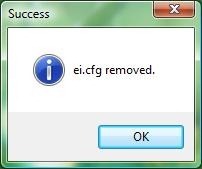 Deleting the ei.cfg file from a thumbdrive with the installation files already. 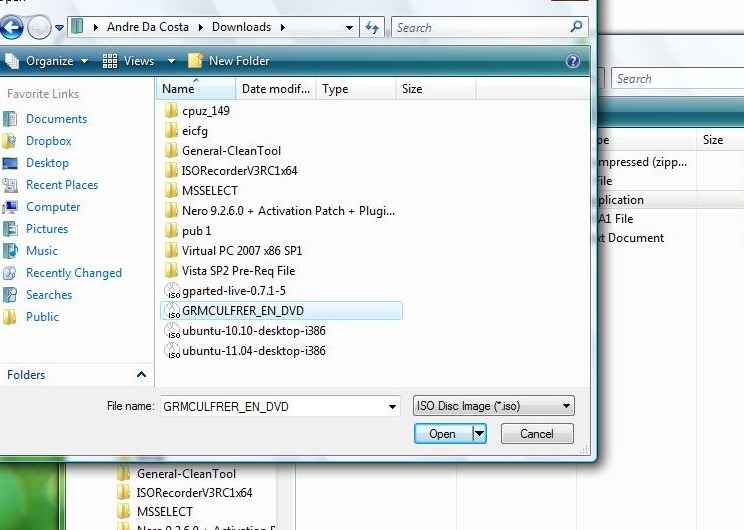 Browse the thumb drive, open the Sources folder and delete the ei.cfg file. If you are planning to install from a DVD, you will need to edit .ISO file before doing so. Review the following guide for instructions and details about configuring your BIOS or UEFI boot settings for DVD, CD, USB or SD Card. Windows 7 will boot as it normally does into the setup environment, the only difference this time is, you will be given a choice to select the edition of Windows 7 you want to reinstall. Select the Windows 7 edition you have a license for and proceed with the installation as normal. For persons who are not in this situation where they need recovery, I suggest you use your working system to build a recovery set now. A lot of manufacturers are phasing out support to focus resources on Windows 8.1 and the upcoming Windows 10 release. This is understandable since Windows 7 is almost 6 years old and warranty obligations for older model systems are starting to end or have ended. Because of the plethora of configurations, brands and models that exist, this article is not exhaustive. So I strongly recommend you consult your computers documentation or check the manufacturer of your computers support section for instructions how to build a recovery media set. Most manufacturers over the past 5 years have ended the practice of bundling recovery media and instead suggest the user utilize the recovery partition for reinstalling Windows if necessary. Acer - How do I create a set of backup recovery disks? Sony - How to create a set of Recovery Discs. Computers that come preinstalled with Windows often have what is called a recovery partition. This is used to reinstall the operating system in the event of a system crash. To access it, you will need to boot into when you start your computer by pressing a function key. This can be either F1, F2, F9, F10, F11, F12 or even DEL or Tab key. Consult the owners manual that came with your PC for instructions about how to reinstall Windows. If your recovery partition is not available or damaged, you should contact the manufacturer of your computer and request a recovery disc set you can use to reinstall Windows 7. They might charge a small shipping and handling fee. This is how the recovery partition is accessed for the most popular makes..
For Dell, press F8 on the keyboard until the Advanced Boot Options menu appears on the screen. For Asus, press F9 as soon as you see the Asus logo. For Samsung, press F4 at power up..
For Sony VAIO, restart and press "F8" or "F10" repeatedly until the "Advanced Boot Options" screen appears. The software recovery web page does not work with OEM, volume license or MSDN/TechNet product keys. Persons are reporting issues with the Microsoft Software Recovery website not working, especially when selecting desired languages. Please use the alternative instructions available above for obtaining install media. Since discontinuing the Digital River, Microsoft created a web page where you can use your genuine Windows 7 product key to download genuine Windows 7 .ISO files for edition you are licensed for. There is one caveat though, this only works with retail store bought or what are known as shrinked wrapped products. If you have an OEM preinstall or OEM System Builder license, this option will not work for you. See section for other available options. If you get an error, try again and make sure you are using Internet Explorer. You can locate the product key inside the jacket of your Windows 7 product box. See below. If you have lost your Windows 7 product key, Microsoft recommends you purchase a new one. How to check Windows licenses in use. Very nice, detailed article. Wish I had seen it before spending a day figuring it out on my own. Thanks for the informative article. I followed the steps and deleted the ei.cfg file from the bootable USB of a Windows 7 iso I downloaded off a torrent. However, it does not show the options of selecting the version as shown in your screenshot. It appears after you click Install Now. Did you go that far? Other than making life difficult for Windows users, what's the point of this policy? It's legal for me to borrow somone else's Windows 7 disk, but I can't just download/borrow the ISO from M'soft? As I don't know anyone with a Windows 7 hp 64bit disk (why would I?) I have to download a pirate ISO from the web (hoping it's less corrupt than my current set up which is now appallingly slow and freezes regularly) and hope my product key works. Windows 7 is at least 2 generations behind. Its a costly resource to maintain the Digital River website. A combination of bandwidth and distribution. A lot of those resources are reallocated to products such as Windows 8.1 and the upcoming Windows 10. 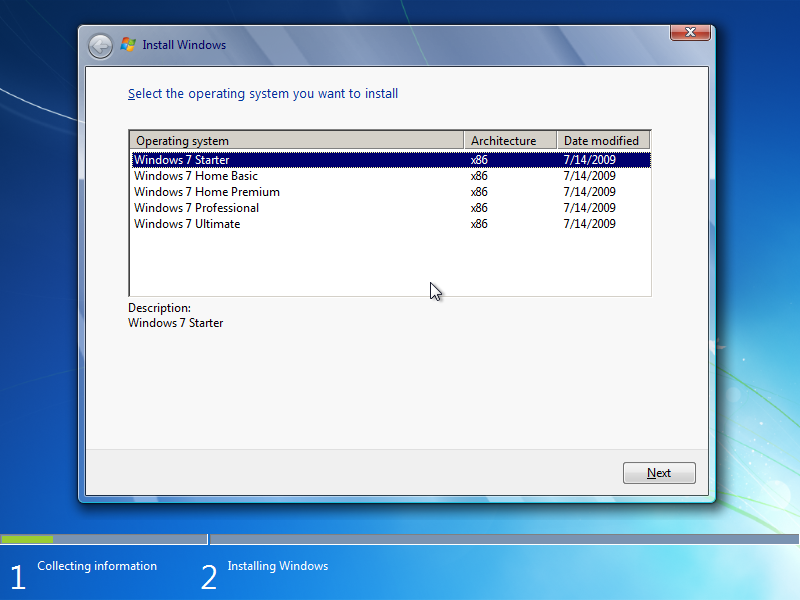 Also, Windows 7 editions such as Starter, Home Basic, Home Premium and Ultimate are out of mainstream support. I personally would like to see continued availability, but I suspect its cost prohibitive. I don't buy that. There are likely thousands of people that run into issues where they need the .iso file to fix an issue. They waste MS support employee's time by having them explain to people that can't simply download the fix they need, which costs MS money. Costs to maintain too much.....you can get a free 5 Gb drop box account, put the files there and put a link on your website...problem solved. I'm pretty sure MS can afford to leave a few files on a server. Heck, if I can find .pdf's of my grandfather's WWII bombing mission reports on some small, obscure website I've never heard of, I would think I could find an .iso file used by millions of people for an OS that is part of many people's everyday life. It seems to me it is really just a way to force people to upgrade products. Just think if Ford, Honda, or Toyota said you couldn't buy a new fuel pump for a 3 yr old car because they want you to buy a new one. I'm just trying to upgrade a hard drive and need to fix some messed up system files before it will let me make a system image. Should have been a couple hour process, but instead I have wasted several days (only get to work on it a couple hours each night after work, meals, kids, etc.). What a hassle. It cacn't be about the cost of maintaining availability because they are doing so; but only for customers who bought a Windows 7 license, not for those of us who bought a PC with an OEM license Windows 7 already installed. Why treat us differently? Sorry but I don't buy that. I think M$ is trying custumers to buy new windows 10, and I think this is not very smart move from M$. I just hope this change in the near future or I can see lot of people contacting support and raging with Microsoft. A very helpful article but I have some follow up questions. I want to perform a "repair install" of my Windows 7 SP1 x64 system on my Dell desktop so that I will not lose my programs, Email messages, favorites, and document files and have to reinstall them. I understand that I will need an ISO or disc image of Windows to do that. I could not obtain the Windows ISO file from Microsoft because Windows came preinstalled on my computer, i.e., an OEM. I contacted Dell but they do not provide ISO files either. The recovery partition on my computer is empty presumably because it had Dell DataSafe preinstalled and it expired. However, Dell did send 2 reinstallation discs -- one containing Windows 7 SP1 and separate one containing the drivers. I am fairly certain these are not ISO discs and will require a clean install wiping out everything on the computer in the process, which I want to avoid. Question #1: Can I make ISO files from these (non-ISO) discs according to the process that you describe, and then make a bootable stick USB drive or a ISO disc from them? If so, how do I (or do I need to) combine both discs in the ISO file? (Note. I do not need to replace the drivers) My problem is with Windows Update. Question #2: I have an HP laptop with exactly the same Windows 7 SP1 x64 OS as my desktop, but without the issues. It has a recovery partition with a recovery file in it. Also, I made a System Repair file/disc from that system. Is there any way that I could employ either of those 2 items to repair Windows on my desktop even though they are on a different OEM's computer? Question 2. No HP media made from HP factory settings is not a vanilla Windows image and has HP preinstalled drivers/software on it. It is system specific and should not install on a Dell. Even if you do manage to use it you will end up with product activation issues and drivers which do not work on your Dell laptop. In my experience repair installs are not worthwhile and they don't alleviate many of the problems as they carry the registry over and the third party programs over which are usually causing the issue. You are trying to save time but doing the repair install is an unnecessary step and you will likely need to clean install or restore to the factory settings anyway to resolve your problem. Your best course of action is to backup all your files to an external hard drive (you should do this regularly in case you ever get hard drive failure or software corruption). Make sure you have the installers for any programs you want to install. This should prepare you for clean installation or reverting to the factory settings. You can then restore from the USB media. If the recovery partition is corrupt you should get an error usually Error #5.